Recent Sitework Projects from W.C.I. 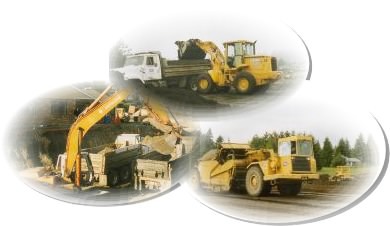 Wilder Contractor, Inc.
Excavating, land development and site work projects either recently completed or currently under construction can be found in the list of projects below. Although our extensive site work and land development history covers over 20 years we have included only a few more prominent projects from the last 5 years. 1999 Squaxin Island Tribe Museum Site Work Mason Co.
1999 Squaxin Island Tribe Little Creek Mfg. Facility Mason Co.